In the flashback, it’s framed as, perhaps, part of his training, a mask of some sort of ritual or rite. 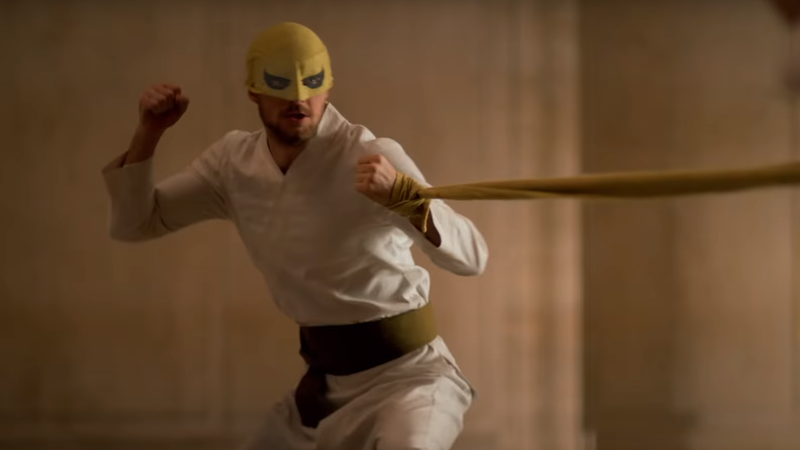 But fans will recognise it as very similar — though perhaps a bit more homebrew than one would like — to the classic Iron Fist combo, which merges yellow mask with green tunic. Iron Fist season two drops on September 7, 2018, on Netflix, and one of these days we’re going to get a full-length trailer for it.